UPDATE 10/26 I have gotten a few email msgs I only gave my dog the one bag provided for this review and have not purchased since. This was a product that was recently recalled and I pray Chloe was not affected back in the spring. Chicken Jerky for Dog Update. Disclosure of Material Connection: I received one or more of the products or services mentioned above for free in hope that I would mention it on my blog. Regardless, I only recommend products or services I use personally and believe will be good for my readers. I am disclosing this in accordance with the Federal Trade Commission’s 16 CFR, Part 255: “Guides Concerning the Use of Endorsements and Testimonials in Advertising. Do you pay attention to where your animal food is made? Like most products I am asked to review, before I agree, I do a quick google search just to learn more about them. I must be honest, when I first was asked to review Kingdom Pets, I was a little hesitant. I just don’t feed my children anything and I would feel awful if my pet got sick off a product I reviewed. 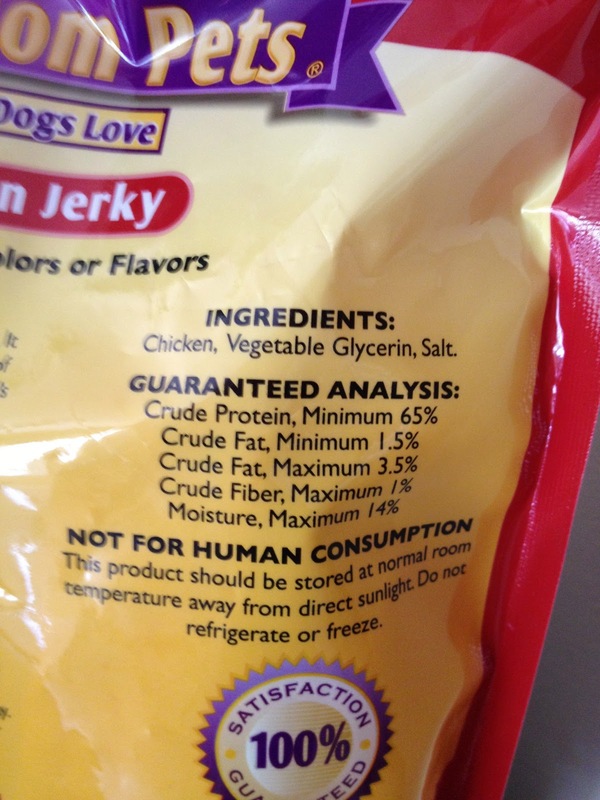 I guess I naively assumed pet food and treats were made in the USA. I usually look at the ingredients but not the manufactured location. Well that is not the case and this is where my initial concern was with Kingdom Pets. I immediately replied back to the PR rep about my concerns and she put me at ease. I have included her comments too. In regard to the overseas production, the reality is that many quality products are getting associated with this broad alert about jerky treats made in China. However, Kingdom Pets welcomes this opportunity to talk about their manufacturing expertise and quality of the treats they produce. Just like in the U.S., China has hundreds of different manufacturers in the pet industry. In fact, the Kingdom Pets factory has production, quality and safety expertise that is among the highest anywhere in the world. The factory follows USDA guidelines for human food in the manufacturing process and has over 13 years experience producing these healthy treats for markets worldwide, including the United States, Japan, Australia, Canada, Asia and Europe. Kingdom Pets products have been carried by major retailers with a perfect safety record and was not involved in the recent chicken jerky recall. What is in Kingdom Pets treats? – Kingdom Pets jerky is made from human grade duck/chicken grown without hormones or antibiotics. Our jerky is approximately 93% breast meat, which is high in protein, low in fat and low in calories. The only other ingredients, both natural, are vegetable glycerin and a bit of salt. Our treats contain no artificial ingredients, animal by-products or grains. 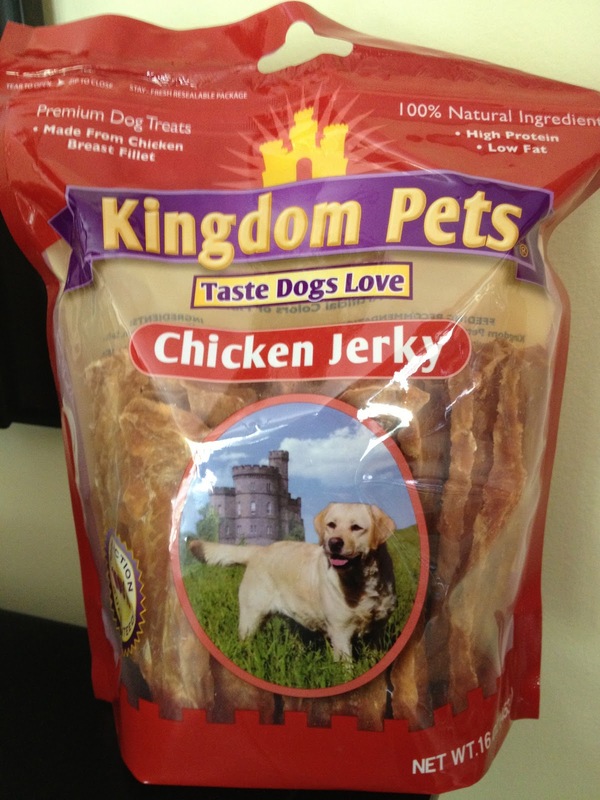 How is Kingdom Pets chicken jerky made? – this very simple process starts with blending breast meat, vegetable glycerin and a bit of salt. The uncooked strips are placed on trays where they are baked and dried for approximately 18 hours. The jerky is then packaged , inspected and loaded for shipment. The jerky is also irradiated before export as an extra step to assure safety. Why Kingdom Pets chicken jerky is made in China – A primary benefit of producing the product in China is the low cost of human grade raw materials. In China, dark meat is preferred over white meat, making the remaining high quality breast meat available at low prices. The result is a wholesome and healthy treat at a fantastic value. It is important to note when considering the safety of any treat, is who manufacturers the product, not necessarily where. Needless to say this is one expensive bag of dog treats. I know they sell them in bulk at Costco and will look into the prices there next time I go. Of course Chloe loved them and devoured them in no time. In fact they were gone so fast I could not get a photo opportunity! Kingdom Pets treats can also be purchased at Amazon for $25 for the similar size bag. It is listed as the #1 best selling dog jerky product from Amazon. Kingdom Pets can also be found online at thekingdompets.com and Wayfair.com. Kingdom Pets chicken jerky is currently available in Costco’s NW, MW and SE regions and will be in CVS locations beginning in June, 2013. What do you think about pet food made overseas? I was provided a sample in return for my honest review. All the opinions expressed are 100% my own unless they were quotes from the PR firm. 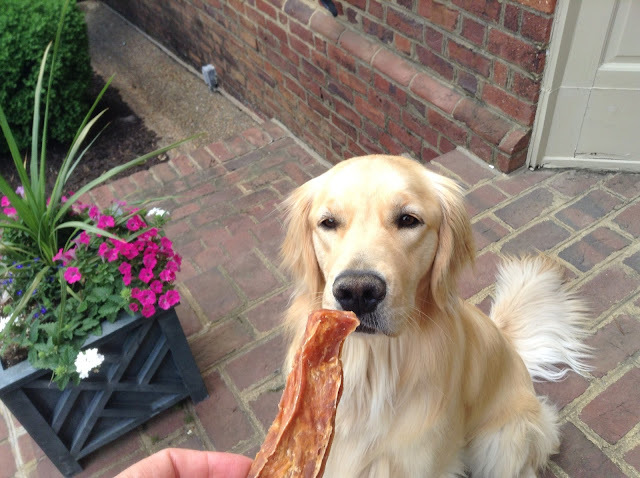 Would you feed your dog Chicken Jerky for Dogs? I don’t have a pet but this information is really helpful-will be pasing it on! Get info—I don’t often apply to pet brands for the same reason as you—very good communication with the PR rep and as far as it being made over seas—if the product is safe and can be made in a more cost effective way—reducing waste I’m ok with it. 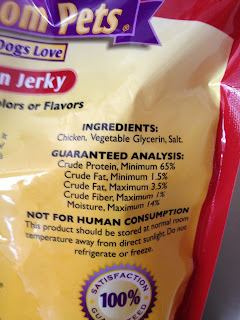 I really had no clue about what type of products are in my dog’s pet food or snacks. thanks for the great info. going to clean out his cupboard asap! !